ATX Relics Stratocaster Pickup Height/ 5 way Switch Screws 50's fender spec. 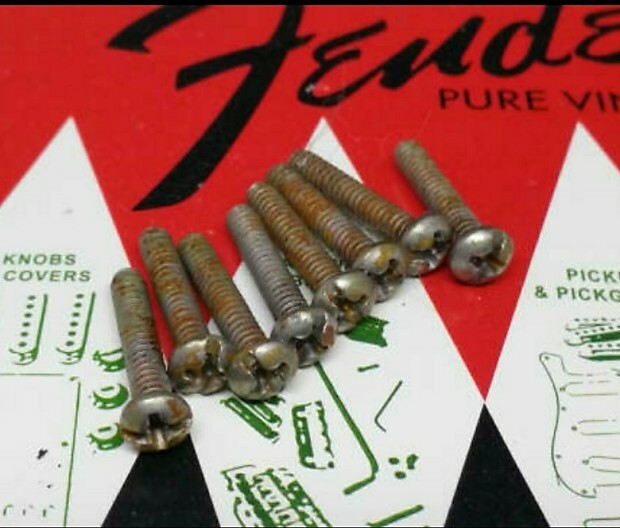 ATX Relics pickup height 5 way switch screws 50's fender spec. QTY=8.Hand aged in Austin Texas. All parts ship the same day. no extra shipping when you buy more than one.